Satya Pal Malik is a widely travelled man. He knows a thing or two about defections, too. There probably isn’t a worthwhile political entity in Parliament of which he has not been, at least briefly, a part -- what a success this nondescript politician’s career has been as a result! He’s a governor on the trot – first in Bihar, then the crème de la crème, Kashmir – and after the coup in Srinagar last week, he is destined to go much further, if the BJP-RSS stays in the driver’s seat. There was no shortage of competent men, retired but fit and wise, from the services who could have been a replacement for outgoing governor NN Vohra, with whom Delhi was mighty displeased as he tried to be correct for the most part. The regime professes to love everything military, but it opted for a feckless, faceless, former politico. No prizes for guessing why. In comments to the media after his appointment, Malik made a song and dance about being a politician – suggesting that he had been mandated to be a bridge between the people of Kashmir and the government in a way that a retired official couldn’t be – and saying that his doors would be open day or night. But he fell at the first hurdle. Democracy has been at a severe discount in Kashmir since long before the BJP-RSS got into the saddle. But Muslim politicians of the Valley were never before reviled and communally taunted, as is being done – directly or indirectly – in the present BJP raj, and this is a lesson that the Modi regime has shown no great willingness to learn. By deepening alienation through a language of discrimination, the governor’s actions and utterances have done more for the ISI’s Kashmir project than the hordes of hostile armed infiltrators can ever hope to do. In 1996, Prime Minister Narasimha Rao, at the end of the first organised insurgency, and before the first post-insurgency assembly polls, had called on the reluctant National Conference (NC) leader Farooq Abdullah to take part. On the question of autonomy for Kashmir, the prime minister said “the sky is the limit”, in his famous Ougadougou declaration from Burkina Faso. Abdullah eventually obliged and the NC formed government. The NC leader wasn’t hectored or degraded by the Centre for showing initial hesitation. The election in 2002 threw up a fractured mandate, as the NC lost power. The Congress and the People's Democratic Party (PDP) took too long to come to their internal arrangement about who would lead the government first, but governor Girish Saxena, a former chief of R&AW, waited patiently for the political puzzle to be solved. His governor’s rule lasted a mere 15 days, imposed to satisfy constitutional requirements. 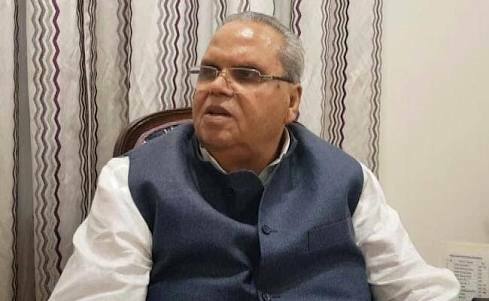 He understood the political and emotional need of the Valley in a most difficult moment, and didn’t play divisive games or disregard the Muslim leaders of J&K. Subsequently, a BJP prime minister, Atal Behari Vajpayee, declared he would look at the Kashmir issue through the prism of “insaniyat”, or human values. He even opened talks with a faction of Hizbul Mujahideen – which had to be abandoned on account of the principal interlocutor being murdered – as a prelude to opening talks with Pakistan. The Modi regime has taken no lessons from the political temperament exhibited in the past by the Centre toward Kashmir. During its cohabitation of three years with the valley-based PDP, it brought governance to a standstill, before humiliating its ally. In the process, it was unable to do any favours to its own constituency in Jammu, which will be entitled to ask Modi a few searching questions. The present governor’s only achievement has been to serve the short-sighted interests of the BJP, rather than of the constitution, even as the BJP articulated its interest as being antagonistic to that of the people of Kashmir. But the equation is simple: a government that treats all the people of the Kashmir Valley as adversaries to be subdued will come to grief and will bring India to grief. In fact, to use a much-favoured word these days, such an attitude is plain “anti-national”. Another sutra forgotten by the Modis, the Ram Madhavs and the Maliks of the world is that if the people of Kashmir are not on your side, you cannot negotiate anything worthwhile with Pakistan, no matter how muscular the rhetoric. Let’s now repair to the governor’s kitchen, although the larder is probably empty. The poor burra laat bitterly complained that leave alone the malfunctioning fax machines at Raj Bhavan, on the day of Eid, the day he chose to dissolve the assembly, there were no cooks to assuage his hunger. Question under RTI: how many Muslims are employed in the governor’s home in Srinagar?